Sometimes Less Is More | Run S.M.A.R.T. 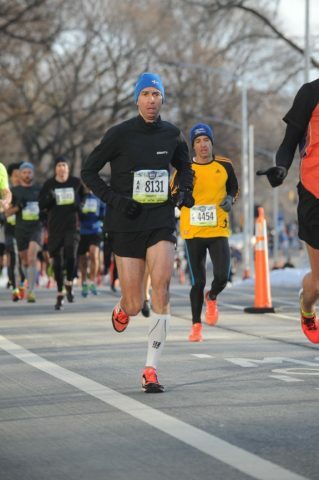 Jorge Ospina bested his 4-year-old half marathon PR at the NYC Half this past weekend. His official time was 1:21:55 (6:15 per mile). [Results] The 44-year-old from Ann Arbor, MI is currently training for the Boston Marathon so we’re excited to see what he can do with tapered legs later next month! The past few years Jorge has been battling hamstring issues so we tweaked his training plan by cutting back some volume and quality to help increase his rate of recovery. We’re excited to see the new plan has been effective and let this be a lesson to competitive masters runners who sometimes think you have to train harder to keep improving.